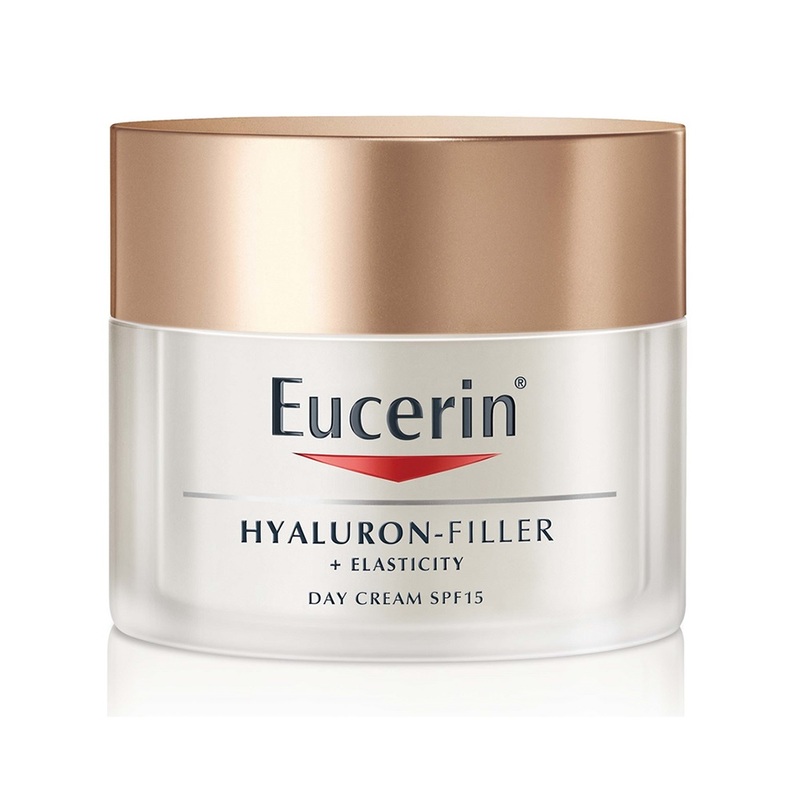 With SPF 15 and a UVA filter, Eucerin Hyaluron-Filler + Elasticity SPF 15 Day cream offers effective protection from photo aging and the deepening of wrinkles. Eucerin’s innovative blend of both high and low molecular Hyaluronic Acid visibly plumps deep wrinkles. Arctiin (an active proven to accelerate collagen renewal in skin cells) works alongside Silymarin (a powerful antioxidant that protects collagen and elastin from degrading and improves skin circulation at a cellular level).